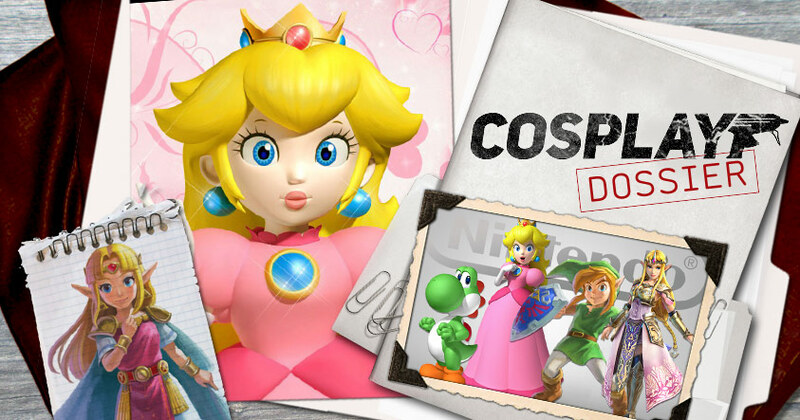 Cosplay Dossier is the companion to weekly video show Agents of Cosplay - go check it out! The tagline of Nintendo's 2015 Corporate Social Responsibility report was "putting smiles on the faces of everyone Nintendo touches". It contained what may turn out to be the last publicly released message of late Nintendo president Satoru Iwata. Iwata's untimely death shocked and saddened many gamers who felt he was a rare CEO who actually understood gamers... because he was a gamer. I'm one of those people affected, so I'm finding it hard to write about Nintendo cosplay without writing something of a tribute to the man who was so influential in Nintendo's modern brand direction. So consider this a cosplay tribute to a gentle video game giant. In his last annual address, Iwata's three core company principles were outlined as "originality, flexibility and sincerity", which could also serve nicely as a cosplayer creed. He stressed that Nintendo products could be enjoyed regardless of age or gender, which, again, is right in keeping with the cosplay philosophy that the hobby is inclusive. He saw that Nintendo's important assets were intangible, and he wanted to take Nintendo characters "beyond the game world". He was speaking more of amiibos with this statement, but it applies very well to cosplay too, especially regarding his goal of transcending the "barriers of language and culture in the real world". To Iwata, quality of life wasn't just about longevity. It was about happiness. This is a big reason many people cosplay, and more specifically, why many people cosplay Nintendo characters. People don't cosplay Nintendo's kid-friendly designs to look tough or act out a power fantasy. They flock to these characters because they're distinct avatars of happiness. Nintendo characters are often some form of pudgy ball, so they're accessible to people of various body types and race is a non issue. But many of the designs are accessible in another way: they're simple. Princess Zelda, Majora, Bowser, and Midna are exceptions that prove this rule. Mario, Luigi, Peach, Toad, Kirby, and Yoshi, meanwhile, are relatively easy costumes to put together... and I mean that the relative amount of work involved is less than most costumes of their kind, not that they're things anyone can do. Mascot suits are a challenge no matter what character you're tackling, but a round pink ball like Kirby is a far easier shape to reproduce than more complex mascots like Pokemon or Disney characters. 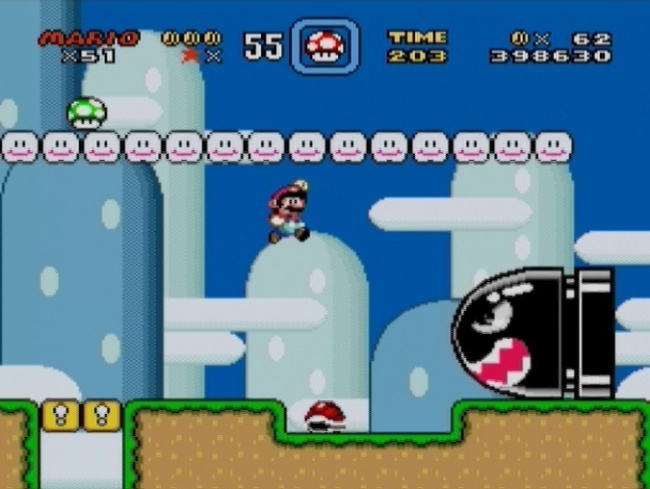 Similarly, the components for Mario and Luigi are easily obtainable in stores - red cap, red shirt, overalls, white gloves, black moustache. Ta da! Instant affordable Mario costume. And you can wear many of the pieces as regular clothes too. The simplicity of design in Nintendo characters also make them appealing to people looking to embody something pure. Kirby or Toad, for instance, are pure cute. Link is an embodiment of a uniquely pure form of heroism. And you don't get much more pure "girl" than Peach. While some complain about that, it's symbolism that people can understand. The designs of these characters transcend cultural divides that impact most animated properties because Nintendo just seems to exist in its own world. Iwata gets credit for this as well, since he moved Nintendo toward a Blue Ocean business model - making money in uncontested market spaces. While other game companies churn out characters at such a rate that it can be hard to keep track, Nintendo adds new characters slowly, so newer characters like Rosalina and the Inklings don't get lost in the noise. This is great for cosplayers, since you can be fairly certain that the cosplay you've spent your time and money on will still be recognizable three years from now. Nintendo's desire to run its own race means that each of its characters is a lot more identifiable than, say, the latest iteration of a zombie that isn't a zombie. Iwata's blue ocean direction got me thinking: is a Blue Ocean philosophy possible in cosplay? I realized, to an extent, that's exactly my approach: I don't focus on cosplays that a lot of people are doing. I look for obscure stuff that doesn't have as much representation, and I go there. Of course, the minute one person does a cosplay, three more do it too, and then a dozen more, and so on, so this approach requires constant change, but I still find it fulfilling. In fact, there are certain costumes that I've stopped wearing or have significantly adapted just because that cosplay space became too crowded. When I started cosplaying Power Girl, very few women were dressing up as that character. Now she's wildly popular, so the cape from that costume is used in steampunk outfits. Meanwhile, I'm seeing other cosplayers take a Blue Ocean cosplay approach by redesigning recognizable costumes, utilizing fan art designs, or mash ups to create their own unique approaches. Peach is getting that treatment more and more, in part because her basic hoop skirt isn't the most practical thing to wear on the bus. Since so many girls loved Peach growing up, however, they want to cosplay her, so they make her design basics into something that makes them happy. While other cosplay media focuses on competition and complex crafting, I want to show the wonder and fun that comes with the hobby. Not everyone finds happiness in competitive environments, so I wanted to do something that got away from the costume contests and the last minute wardrobe drama. I'm not throwing shade on people who like to compete. I'm just happy to stay here in my more collaborative ocean. I also don't just focus on the most technically flawless cosplayers in my video segments because I want to showcase a love of cosplay at all skill levels: everyone has to start somewhere. Like Iwata, I don't believe that identifying as something - a gamer, a cosplayer, or anything else - automatically means you have to help enforce some "git gud" hierarchy in that space. I love cosplay, and I want to share that love. I don't feel that sharing comes through criticizing someone's work or acting superior. I didn't realize, before now, how philosophically specific that was. A sudden passing like Iwata's, especially of someone of his stature, tends to be a time of reflection, so thanks for your participation in reading this, and in doing so, helping me pay my respects. Nintendo loves its cosplayers, so I wanted to let the company know that we love them too. We think they're succeeding in their goal of characters that live beyond the game world, that break down cultural barriers, and that bring smiles to people's faces.